There’s interesting drama casting news to end the week and hopefully another project to look forward to. 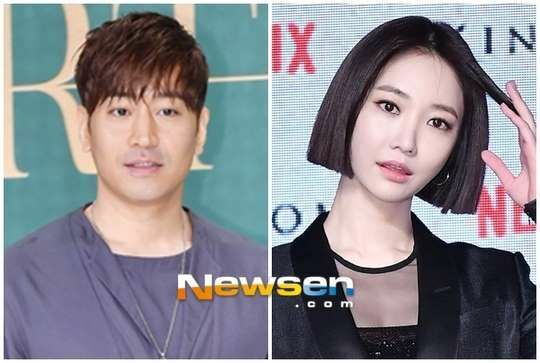 Eric and Go Jun Hee are in talks for the June 2019 KBS romance drama titled Perfume. 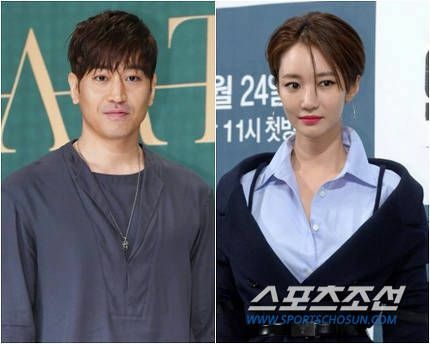 If Eric accepts it will be his first drama in three years since the hit Another Oh Hae Young and also his first since his marriage in real life to model-actress Na Hye Mi. Go Jun Hee has been stuck in second female lead territory for nearly ten years but will have her first leading role in the upcoming OCN supernatural drama Possessed so I’ll wait to see if she’s ready for the top spot, but overall she’s always been decent in the roles I’ve seen of her though usually it’s a very annoyingly written character is all. Perfume is the fantasy-tinged romance about a middle aged woman who has given her all to her family and lost everything, and through a magical perfume goes back to her twenties as a beautiful woman. The male lead is Korea’s top designer with looks and ability but can’t find love because he’s got 52 different phobias and 35 different allergies. Once she transforms then she ends up working for the designer as a top model and of course romance blossoms. Pass another romance drama zzz and can they change the title because ‘Perfume’ is on of my all time favourite novels by Patrick Susland. The full title being Perfume :The story of a Murderer. I dunno call it Smell; Sniff; Snort; Scent anything’else. Don’t know the female lead but I love supernatural thrillers so might check out Possessed. Good on her though for securing lead status. She’s proved her worth. Yeah, except it’s Patrick Süskind. Favorite book, huh? And yeah Adnana I’m not German but thanks for correcting me. I’m not German, either, though I speak the language. But how is being German or not relevant here? Apart from that, the “favorite book, huh?” was just genuine surprise/awe at your taste in books. But then again, I mostly read romance novels these days; definitely not as interesting. I must be sleep deprived sorry but Oh no deary me I wrote on instead of one of my favourite books. Arrghh And yes the title got me amped because I thought Perfume was being adapted into a K drama excited until I fully awoke to read the synopsis I have to learn to breathe and take it slowly when posting and not go dashing out. I pointed out the German reference because it’s pretty disappointing of me to get the author’s name spelt wrong in the first place. FYI @Adnana – I was forced to read Perfume as part of my post grad major over a decade ago and why would it surprise you what type of books I read. Furthermore your curt rather off hand post in response to back to me says it all. I’ll spell it to out to you I’m joking in my post why on earth would you take it literally that I’m trying to claim a monopoly on the title? Get this… I misspelt the name a nd I acknowledged it! Please take your spellcheck do gooder ears off and chill out. It’s like me going back to commenters and correcting them everytime there is an error made here. When I saw the title of the drama I remember that movie and thought it may be an adaptation. It’s one of the most disturbing story I’ve ever seen.